Located in a quiet area, this property guarantees total privacy to those who visit. Set in a rustic and well decorated environment is an area full of history and characterized by its incredible landscapes. Consists of four double bedrooms, also has two bedrooms with two single beds in each. It has five full bathrooms with shower and another for service. The kitchen is fully equipped, like the living/dining room with internet and TV. Outside, guests can enjoy a large space with gardens and barbecue, as well as a refreshing pool for the warmer days. The house has private parking. Nearby access to other villages is easy. 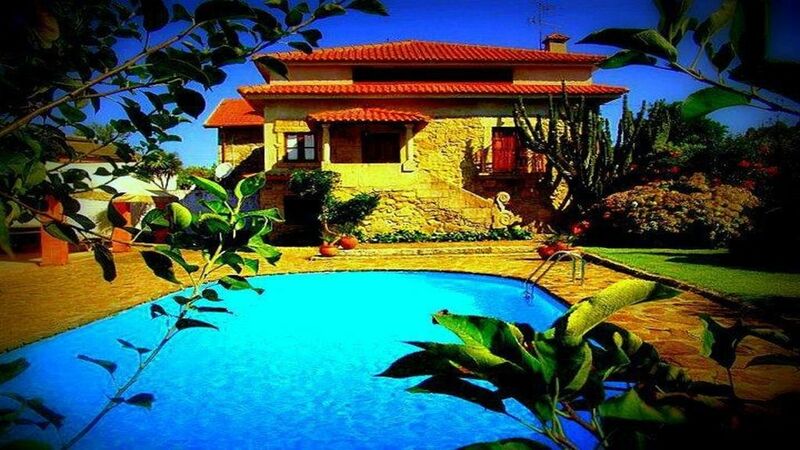 The property is located at 6km of Braga, where you can visit the famous Bom Jesus, Sameiro or the Roman ruins. The Minho cuisine is known for the best reasons, as well as their cultural heritage.